In its bid to assist Jamaicans to create wealth through homeownership, JN Bank is offering 110 per cent financing to persons seeking to purchase their homes and cover other related expenses. This means that qualified persons, who choose this mortgage option, will not necessarily be required to make out of pocket payments when purchasing a property. 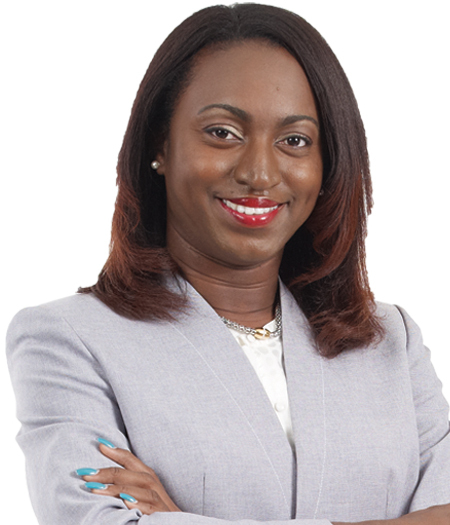 “This is another major step to strengthen the mortgage process and property ownership in Jamaica,” affirmed Saniah Spencer, chief, marketing and product development at JN Bank. Miss Spencer said over the past few months, JN Bank has been making concentrated efforts to better understand the needs of consumers, by engaging various groups, including the public sector. “Assessments have been conducted based on feedback from these engagements and a product of this nature stands to greatly assist the consumer, particularly public sector employees, university graduates and professionals with achieving the dream of home ownership,” Miss Spencer said. Persons who choose JN Bank’s Mortgage Plus can use the funds to cover the deposit for their home, closing costs, and other unforeseen expenses. They may also use the funds to purchase furniture and appliances. JN Bank’s Mortgage Plus offers financing of up to 110 per cent of the lower of the property’s purchase price and market value. “This sum is provided at one low interest rate for the life of the loan,” Miss Spencer said, explaining that joint financing with the National Housing Trust (NHT) is also available. Mortgage Plus is a third step in the wider Design Your Mortgage (DYM) programme, which JN Bank, unveiled last year, to broaden the mortgage options available to persons who want to purchase homes. The financing is granted in 30 days or less, once the potential mortgagor provides all the necessary documents needed to complete the process. “We note the government’s recent move to increase the loan amount from the National Housing Trust (NHT), available to contributors by 18 per cent; and other initiatives, to improve homeownership, and we believe that we can further support that process by strengthening opportunities for our members and potential mortgagors,” Miss Spencer said. She emphasised that real estate remains a vital means to build wealth in Jamaica, and therefore, creating the means for people to own property is important. “Real estate is an empowering asset, which assists, in shaping identity and ultimately confidence; hence, we are committed to helping Jamaicans, locally and overseas, ‘to find a way,’ to achieve homeownership,” Miss Spencer underscored.